Campervans are the perfect way of escaping for the weekend in search of rest and beautiful surroundings. Our latest trip to the Peak District is the second time we've used Bumble Campers and their incredibly equipped vehicles for our adventure. The company who have two bases; one in Peterborough and Manchester provide campervans not only at affordable hire prices but almost everything you need in one place for your road trip, touring or festival. 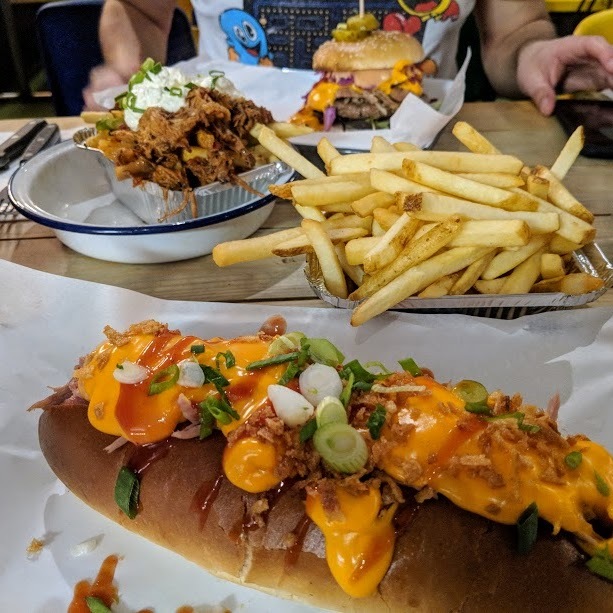 They make the packing part easy, all you need are your own essentials and some grub to tuck into, and away you go! We picked up a 4 Seat 4 Sleeper Campervan* for our trip to the Peak District. 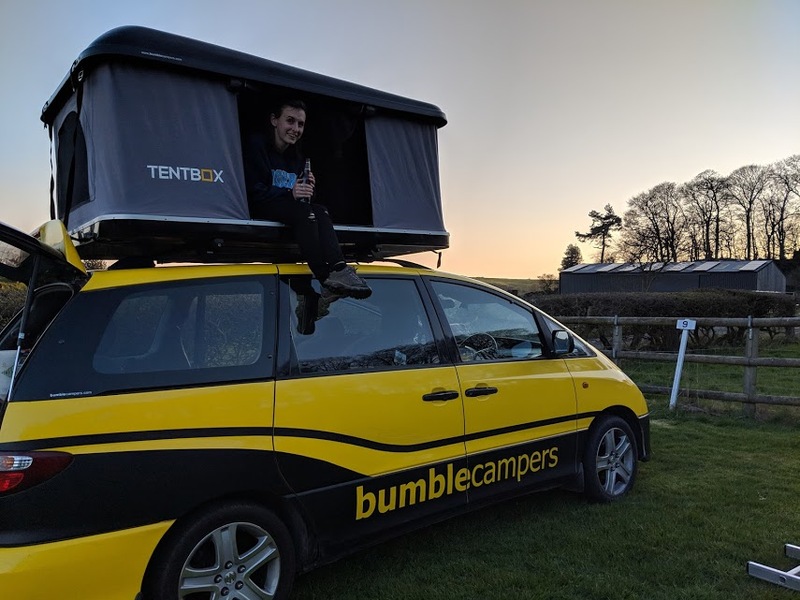 The Bumble team make it incredibly quick and easy to get you out on the road and onto your adventure, but of course, give you a great lowdown of your camper van and how everything works before you go! 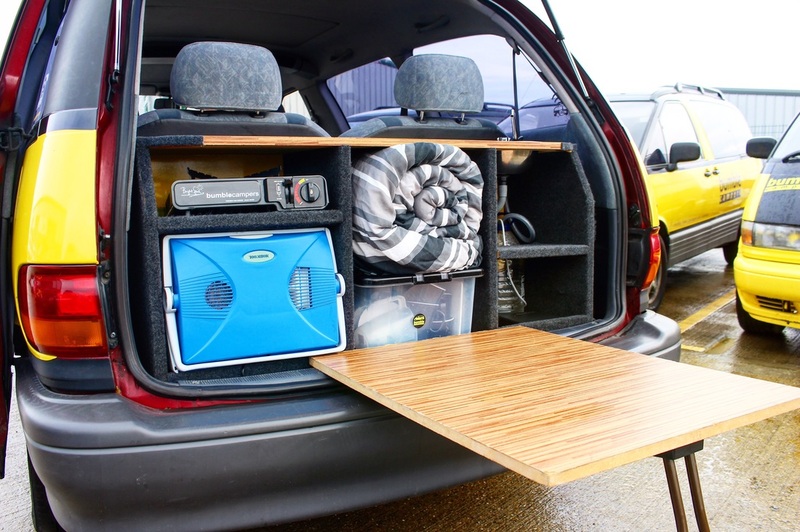 The interior has plenty of space for storage so that you can organize all your gear while you're camped up. 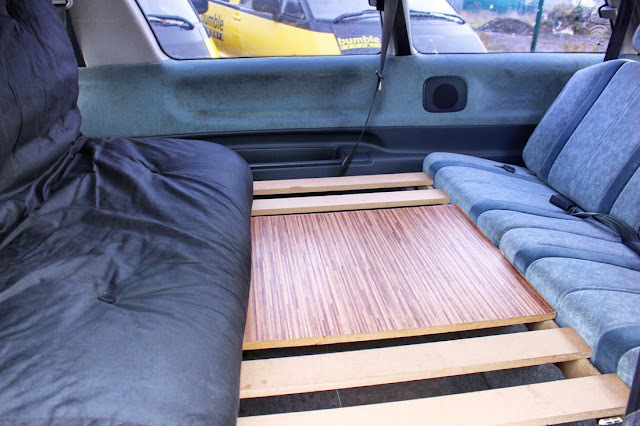 In the two seat, two sleep during the day you have a large folded futon acting as a sofa which can be laid flat in the night for sleeping on. It's really easy to move and become a bed in the evening, a lot easier and comfortable as I had expected. The difference with this one in comparison to the 2 Seater 2 Sleeper van was that we had the addition of a Roof Tent above our van. The Roof Tent is incredibly easy to set up, it pops up quickly and with the use of a ladder you can get up and down easily. The tent sleeps 2 more adults comfortably and we were keen to give it a go on our adventure. At the rear, you have a cooking and prep area with a countertop, built in sink with water supply and waste, fridge and camping stove. Not forgetting a huge bonus to this van was their onboard power available - meaning we could charge our phones overnight safely! There is also a small tub full of some essentials to get you started, including mugs and pans. This allows you to take care of all of your immediate needs without going too far. We loved the entire practicality of the design, it enabled us to do a lot of stuff in one place whilst camping and the design is well suited to a camping adventure. The 4 Seat 4 Sleeper was just as comfortable and spacious as our last camper! 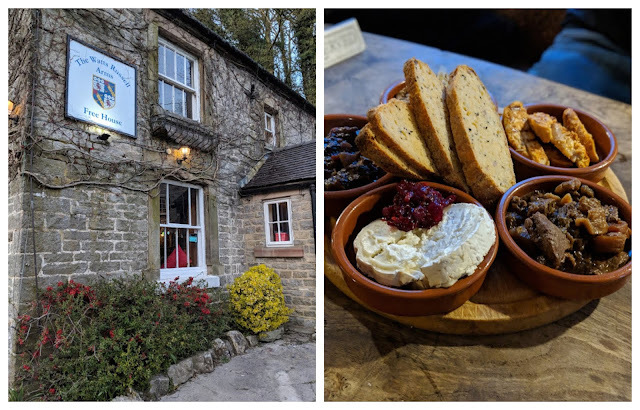 We chose Peak District for this adventure and it took around 2 hours from their base in Peterborough to arrive at our first destination of the weekend, Ballidon Moor Farm. Ballidon Moor Farm is set in a fantastic location as its nestled between Ashbourne and Bakewell. The campsite is small with ten hookups and two glamping pods available. The access to the site is incredibly easy and is fairly level with plenty of space to relax and enjoy some privacy on your trip. There are four toilets and two showers within a portacabin on site, these offered fantastic hot showers. Outside is also a basic but clean outside sink with cold water, fresh tap water and chemical waste disposal. On site was a friendly farm cat called Frankie who loved having a cuddle with us during our stay! Our stay was fairly peaceful until the local cows decided to come to life at 1am. It was fine though as we are able to get into the campervan and quickly get comfortable again. The owner Victoria was incredibly accommodating and friendly to us as we visited out of season. 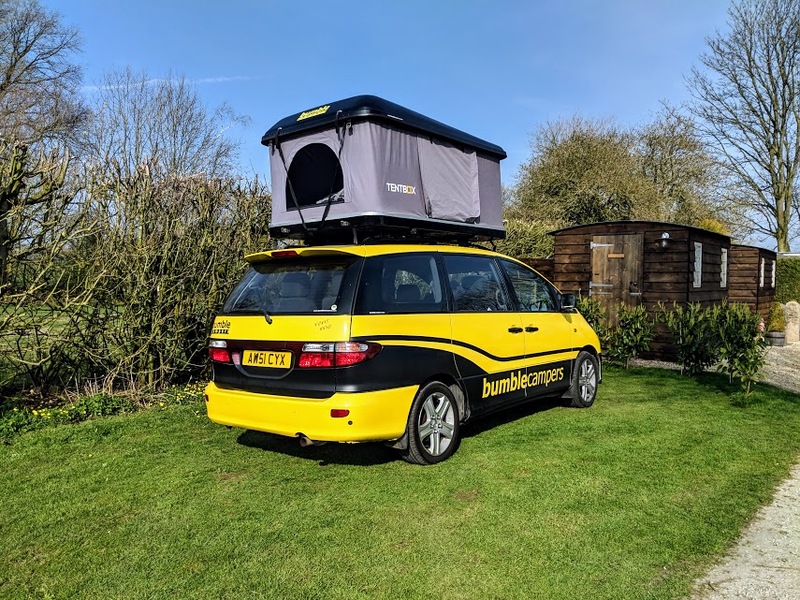 Book your Bumble Campervan today! 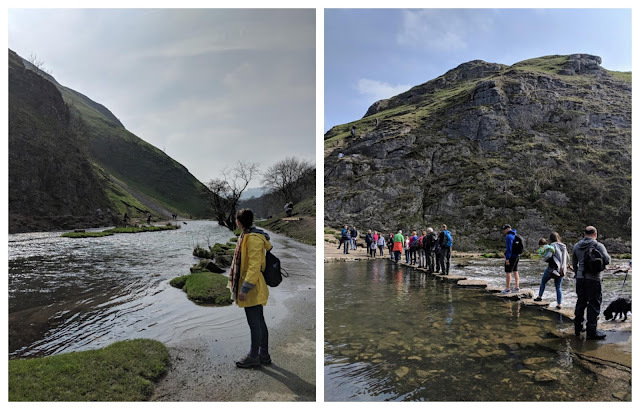 In the morning we packed up our campervan and drove 20 minutes West of the campsite to the gorgeous backdrop of Dovedale. The impressive limestone ravines and the Dovedale Stepping Stones makes it one of the most popular areas in the Peak District. 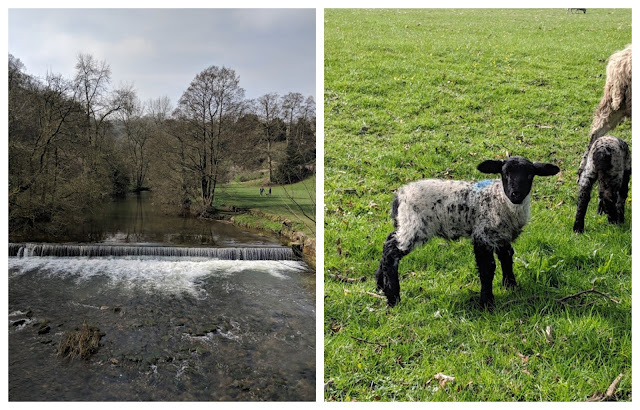 We parked our campervan easily at the Ilam Hall and walked for 40 or so minutes to the Dovedale Stepping Stones. You can park at a designated car park for Dovedale (DE6 2AY) and it costs £3 to park! We definitely enjoyed tucking into their onsite catering van where we enjoyed ice cream before returning back to the van. The second campsite for our trip was Smithyfields, a small and quiet campsite located in the heart of the Peak District, 15 minutes north of Dovedale. Smithyfields Camping is situated in the centre of the idyllic village of Alstonefield; offering a perfect base for exploring all that this area has to offer. The campsite is a fantastic private and quiet location with endless walks on the doorstep and a village pub just down the road! Upon arrival, we noticed our spacious pitch for the night, all designated upon booking. Our pitch was next to the bathroom facilities but it never disturbed our sleep or time on the site! I enjoyed the luxury of a heated bathroom - especially as the Spring weather still brought us low temperatures. The local pub, The George is fantastic but a hotspot for travelers in the area so I would urge that you book a reservation before your trip. It was fully booked for us so we headed on a 15 minute walk down the road to another pub. Although the food was tapas style and enjoyable it wasn't too comfortable. In terms of driving the campervan, the vans are automatic drive, so if you haven't had experience of driving them before it can take some getting used to! It can be incredibly helpful if you're driving long distances for your adventure as the cruise control is a brilliant feature. Controlling the veichle isn't bad, they are big, heavy and wide so you need to be cautious when parking and taking them around corners but it's quite comfortable once you've taken down a few miles already! We had a fantastic experience with Bumble Campers. We loved being able to sit out of the back of the van drinking a beer and playing a board game during the afternoon than at night get all snuggled up with a film. There is a wifi dongle available in the car, we didn't need to use ours but that is available should you need it at a cost. 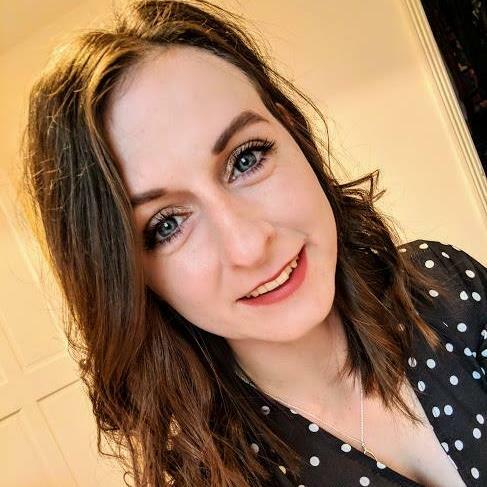 Personally, the opportunity to have some time away from internet access at the weekend was refreshing, especially when the Peak District is so remote in areas. I'd highly recommend one of the Campervans from Bumble for your next adventure. They're affordable, really practical and the team are incredibly helpful (especially if you're using a campervan for the first time). You can find out more about Bumble Campers on their website here. *Collaboration with Bumble Campers. A Campervan was hired to me for the weekend in return for a blog review and social coverage. 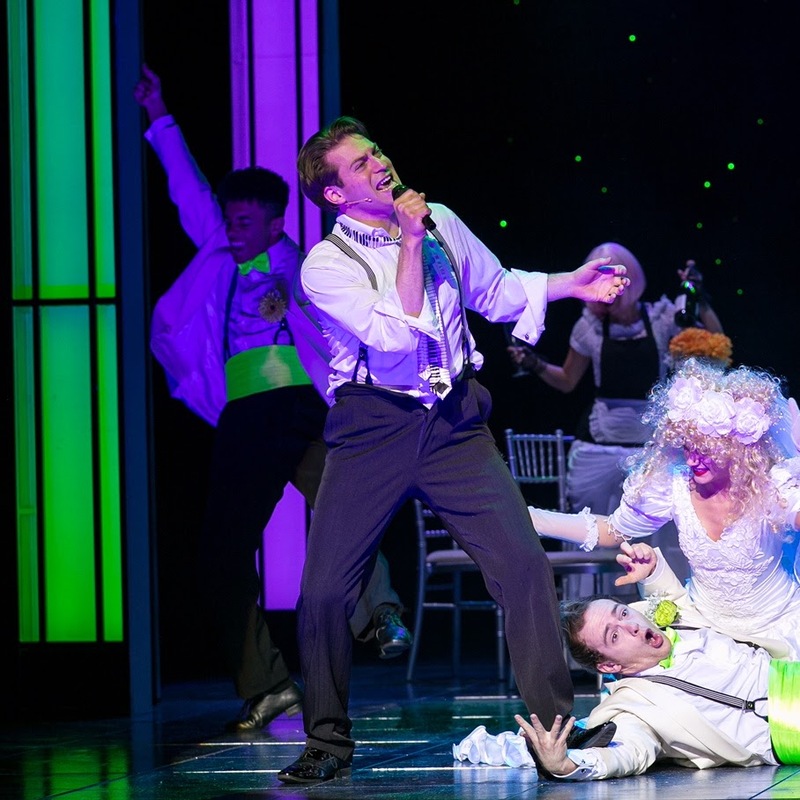 All words and photos are my own and not influenced by the company I'm working with. This looks great, I'm not a camper in a tent so I would defiantly stay in in this campervan!